NH Jump$tart Coalition’s “I Can Save!” campaign encourages second grade elementary school children statewide to explore the concepts of saving, spending, and sharing money while establishing a savings habit to hopefully continue throughout their lives. For the cost of $5 – or the cost of a cup of your morning coffee and a bagel– NH Jump$tart Coalition can help two children acquire sound money management skills through an interactive classroom lesson with content provided by The Centsables. This nationally-recognized organization is dedicated to providing students with the knowledge, skills and habits to begin their lifetime of financial security. At the conclusion of the lesson, each student receives a Centsables™ bank to begin putting their newly-acquired knowledge into practice. 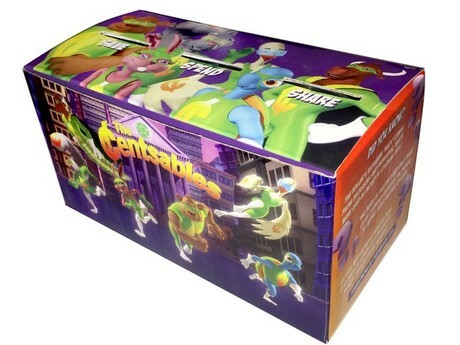 Learn more about The Centsables at www.centsables.com. Last year, over 1,300 New Hampshire second grade students benefited from an “I Can Save” presentation. This academic year, we hope to reach 2,000 second graders! The Centsables are six lovable superheroes with a single goal: to help kids acquire sound money management skills. Their mission is to provide kids ages 8-11 with the knowledge, skills and habits to begin their lifetime of financial security. They have received numerous national awards for their efforts and we are pleased to be partnering with them for our I Can Save program! Check out our new partnership with the Centsables! Tom Lavery14 weeks ago Best wishes.